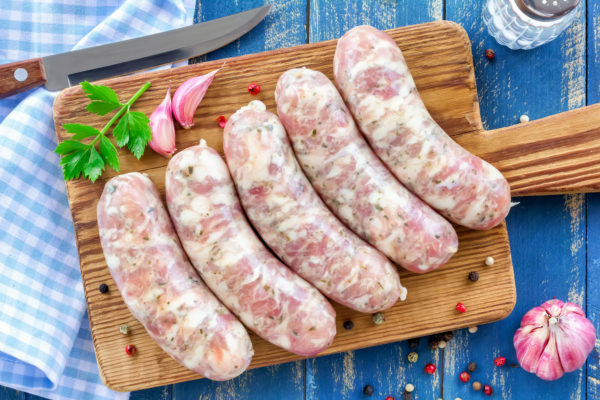 A fresh German Bratwurst made of pork from a traditional German recipe that has been in our family for years. This certainly is the classic among all the brats in Germany. The recipe is rooted in the west side of Germany. Where the river “Rhein” flows through Cologne this Bratwurst is served and enjoyed. This is the one you want on your BBQ. Certainly a great meal with just some potatoes and Sauerkraut, or have it with a piece of bread, some tomato- or garlic sauce or mustard. Although if you want to have it the real German way, try Mashed Potatoes and Sauerkraut with it for example. It is seasoned well but not spicy. However if you want to enjoy just a great German Bratwurst, this is the one. 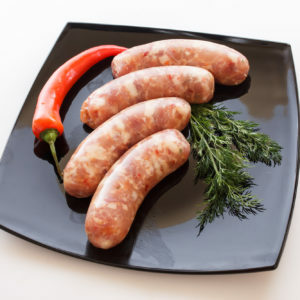 If you do like it more spicy overall though, we definitely recommend our Spicy Bratwurst. It comes with a fiery taste of paprika and chili. Also, check out our other products here. 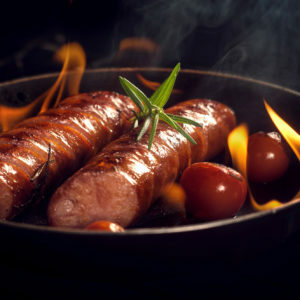 YOUBITE’s German Bratwurst is certainly the most popular sausage. 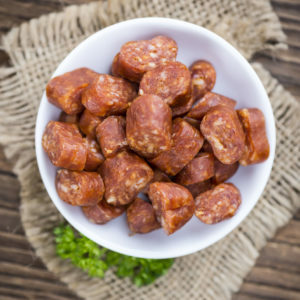 Using a traditional German recipe which has been in our family for years ensures you the “real deal”. This certainly is the classic among all the brats in Germany. The recipe is rooted in the west side of Germany. In the Rheinland. This is where the beautiful Rhine-river runs. 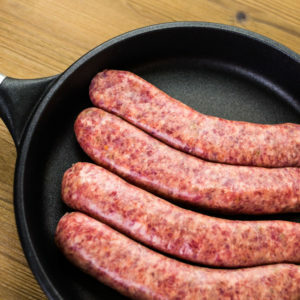 We eat this sausage on a regular basis, thus when you buy it you can get a glimpse of the German lifestyle. In conclusion: this is the one you want on your BBQ. Definitely a great meal with just some potatoes and Sauerkraut, or have it with a piece of bread, some tomato- or garlic sauce or mustard. Although if you want to have it the real German way, you should try Mashed Potatoes and Sauerkraut with it for example. This is probably the the most common dish in Germany. It is seasoned well but not spicy. If you want to enjoy just a great sausage, this is the one. Ingredients: Pork, water, salt, spices, fresh coriander, fresh onion, fresh garlic, dextrose. Stuffed in a natural hog casing.